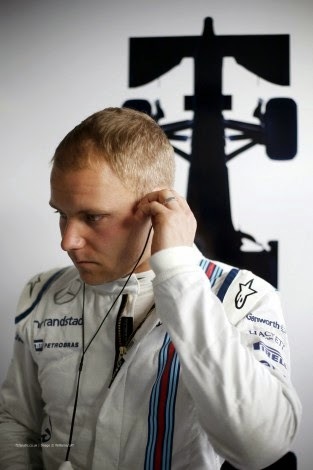 No Fenders -Formula 1, IndyCar and A Whole lot more..: Mirror-Mirror On the Wall, Who's my New Favourite Driver of All? Mirror-Mirror On the Wall, Who's my New Favourite Driver of All? 'Whale, seems like today's date is the right 'Juan for this story, eh? As recently I was asked the most enjoyable Question of all, albeit having been last August now, since Y'all know the drill here in Nofendersville, where your blind 'Vurd Botcherer has fun trying to catch; Uhm, where'd they go; Hya! Err, harvest A-L-L of his stories from the large fermentin' vats; Hooah! Yet, the Questione surprisingly came from a young lad I used to call the 'Wee Charlie, which he isn't anymore, now quickly honing in on becoming a teenager... Nevertheless, I was caught off guard to hear an 11yr old asking me "who's my favourite Formula 1 Driver?" Hence, prior to the 2014 F1 season's start my choice was between the following three: Nico Hulkenberg, Valtteri Bottas and Jules Bianchi, although the latter really doesn't get the recognition he deserves by chauffeuring the back-marker Marussia chassis. Although sadly, Monsieur Bianchi has taken himself out of the equation after that HORRIFIC Crash at Suzuka last October - and might never wake up again from that wicked incident! Over the years - 'Wayback since my Schuey Dazes, I've forever retained the quip from my good friend Yutaka about only having one favourite driver... Otherwise you've diluted the pool so to speak, and simply aren't focused enough! For which I've always had mixed emotions about that, especially the old-ER I become, recognizing more 'N more talented racers. That said, I'm remaining true to Messer Bottas as P1, who seemingly has a very bright future ahead of him, although his accident at Melbourne didn't help his season start this year. Alas, with the dawn of a new IndyCar season, things just got a whole Helluva difficult, even if I haven't been devoted to a single driver since 'Wayback in the Champ Car Dazes, circa 2007. With my Numero Uno then being Justin B-I-G' UNIT Wilson. Yet, when I first began following CART 'Wayback in 1986; Aye Karumba! 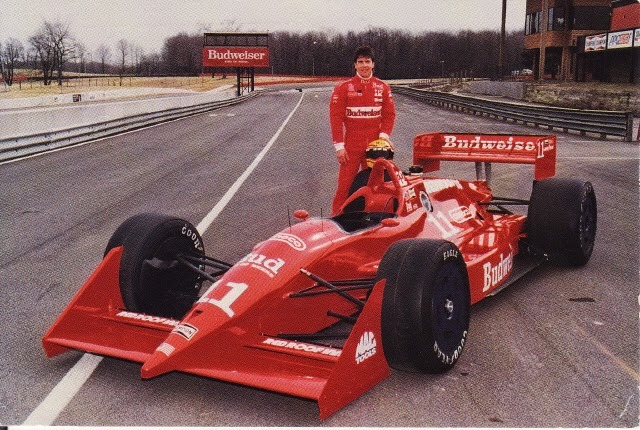 My first ever choice for favourite IndyCar driver was none other than Scott 'Scooter Pruett followed by Robby Dirtman' Gordon, before he later became tagged by myself as GORDOUN! (Thanks in part to his helmet tossing tirade, faux yellow flags for headrest debris, etc) Not to mention enjoying the razzle-dazzle of 'Ol Hollywood, aka Danny Sullivan. Then later on during thy "chump Carz" Dazes, - as noted previously, along with Wilson, I finally became a fan of the effervescent 'PT, nee Thrill from the West Hill, aka Mr. Chrome Horn or simply Paul Tracy during the final CCWS seasons, (2006-07) especially after donning his purple cage fighting get-up; Hooah! Alas, with Wilson's IndyCar career seemingly winding down? 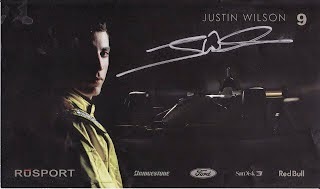 As I'm still pretty bummed that he wasn't on the grid at St Pete this year, although 'Curty Cavin correctly surmised by hinting prior to the 'Offical announcement on Opening Day at St Pete that Justin indeed has a ride with Mikey A' (Andretti) come Indianapolis this year for both the road course and oval races at Mother Speedway. Nonetheless, I'm ponderin' who to choose as my de facto Numero Uno IndyCar driver, as it just feels wrong to be rootin' for two Penske boyz, (with Power claiming Pole and Pagenaud P2 at St Pete...) although I'll be happy for either of them winning, and mildly intrigued over who comes out on top. What to do indeedy? As I guess the following few drivers intrigued Mwah as of the start of the 2015 IndyCar season, as I'd miss Round-2 at N'walins, the inaugural Louisiana Grand Prix, which the latter always makes me laugh since that implies it's a Formula 1 race to Mwah! As I was busy frolicking at COTA for the MotoGP race instead; so these are just my initial thoughts going into the incredibly short IndyCar season. The only Bonafied Star on the Hondre' side that I truly like, as I'm still not a Fan of whom I used to call "Bully-Ray" (Ryan Hunter-Reay) is thy "Mayor 'O Hinchtown," aka James Hinchcliffe, while I'm interested to see how reigning Indy Lights champion Gabby Chaves fairs at the Minnowesqe Bryan Herta Autosport. Have always been high upon Joseph STUD! Newgarden, ever since he entered the B-I-G' CARZ. And like many, I too expect him to finally "Break-his-Duck" this season regarding standing atop the podium somewheres' this season. Yet since I'd like to remain with just three IndyCar drivers for my top picks, it'll be hard to decide, as it seems only fair to have at least each one Honda and Chevrolet runner at a minimum, right? And I always enjoy pullin' for the Underdog, which is tradition here Stateside. although I don't know anythingy 'bout this Ed Jones, who reminded me voice-wise of "Plowie" (Martin Plowman) upon hearing him on the podium after winning his debutant Lights race from Pole at St Pete. While I'd really like to see Conor Daly haulin' Duh Mail for Honda in Indy Cars!